Our Broomfield AC replacement professionals are always standing by to provide you with top of the line air conditioning installation and replacement services. We have been the go-to professionals for all things HVAC (Heating Ventilating and Air Conditioning) for years, and we always come highly recommended. So if you need the help of our team of Broomfield AC replacement professionals, then please do not hesitate to give us a call. Learn more about the professional services we offer by click HERE today! Each and every one of the Brothers Plumbing, Heating and Electric AC Boulder AC replacement professionals is standing by to help you with any and all your air conditioning concerns. Get in touch with us to learn more about what kinds of professional help we can offer. If you have had your air conditioning for over 10 years, then you may want to get a new one. 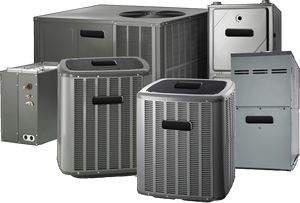 If your unit is unable to provide your home or business with adequate cool air, then it may be time for a replacement or system upgrade. Whether you need a bigger, better system or just a new unit to keep your old system up and running, we’re here to help. Many people do not want to get Broomfield AC replacement because they do not want to spend the money. However, you will reap many benefits if you get a new air conditioning. A professional will ensure that your air conditioner is the appropriate size for your home. Your old air conditioner may not be the right size. An air conditioner that is too small or too big will not cool your home efficiently. Keep in mind that a properly-sized air conditioner can have an effect on your cooling costs. That is why air conditioning replacement in Broomfield can help you save money. Many people would prefer replacement over Broomfield air conditioning replacement. However, if you have to get your air conditioner repaired frequently, then the costs can really add up. That is why getting repairs is usually not worth it if you have an older unit. Furthermore, new air conditioners are a lot more energy efficient than the older ones. In fact, Broomfield air conditioning replacement can potentially help you improve energy efficiency by up to 40 percent. Today’s air conditioners have SEER values of 17-18. The higher the SEER rating, the more efficient the unit is. Old air conditioners typically have a SEER rating of 10 to 13. Call Brothers Plumbing Heating And Electric if you need AC replacement in Broomfield. We will come to your home and assist your cooling needs. We will also help you select the right unit for your home. Additionally, we will install your air conditioning. We will take special care in order to ensure that your unit is properly-installed. Having your unit properly installed is one of the best things you can do in order to ensure your unit lasts a long time. We can also perform periodic maintenance on your unit. This will also help your unit last a long time. Air conditioning replacement is extremely important. We believe that no one should let the cost stop them from getting a new air conditioner. That is why Brothers Plumbing Heating And Electric has affordable services. So don’t hesitate. Pick up your phone and give our Broomfield AC replacement professionals a call for service today. If you would like to learn more about the energy saving benefits of a new air conditioning system, then please do not hesitate to click HERE. When it comes to fast, reliable and affordable Broomfield AC replacement services, you can’t go wrong by hiring our team of professional AC technicians.